When God looks at you he does not see a long list of your failures. He does not see a miserable human wallowing in shame, nor a weak-minded loser of a child. You are covered in the blood of Jesus (Hebrews 9:22, 10:19,22), which means that all of your sin, past, present and future, was paid for by Jesus on the Cross. And more than that, victory over self, Satan and sin was won when God raised him from the tomb on the third day, because death could not hold him (Acts 2:24). You are a child of a proud Father (1 John 3:2; Matthew 3:17), not of the “Disappointed-Dad-in-the-Sky”. You are in Christ and not under condemnation (Romans 8:1). Therefore, do not continually return to your sin out of shame. Don’t run from the Father and hide from him because you believe he will reject you. 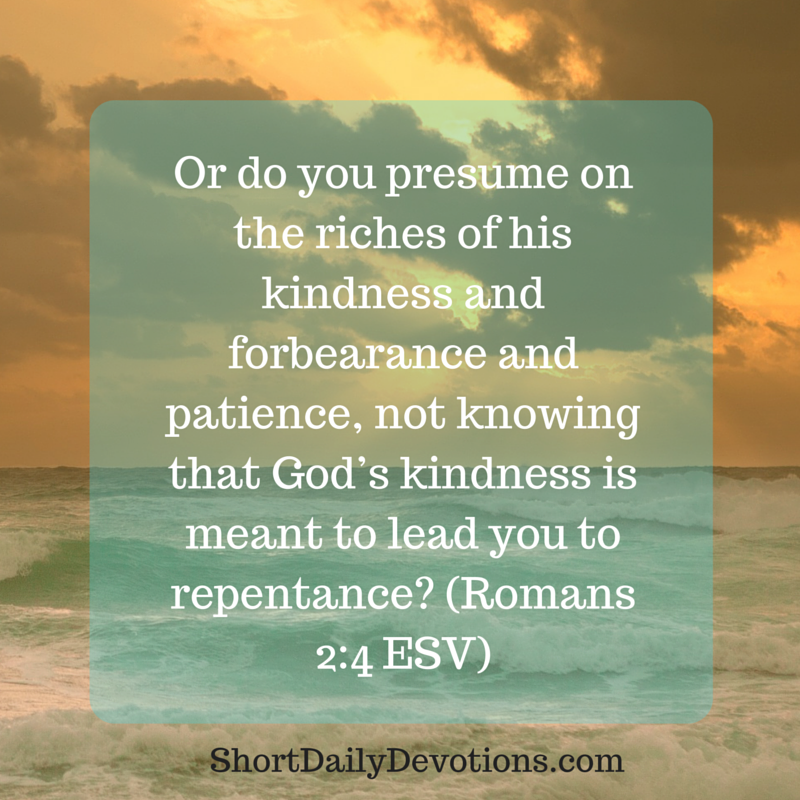 Remember, “God’s kindness is meant to lead you to repentance”. His arms are open to you, not because of who you are, but because of who you are in Jesus. Abide in Jesus and follow his grace to repentance (John 15). Know that you are accepted by a Father perfect in love and understanding. Dear Christian Reader, do not fall for the lie that God is nothing more than a disappointed father, waiting for you to clean yourself up and get your act together. Jesus exchanged your disgrace for his perfection (2 Corinthians 5:21), and that is why you are so loved. Follow the cross Jesus to God’s grace today.